In science, Hund's rule states that an electron will occupy each of the orbitals of a subshell before occupying any orbital as a pair. More simply, an electron will choose an empty orbit and be alone before it joins another electron already in an orbit. 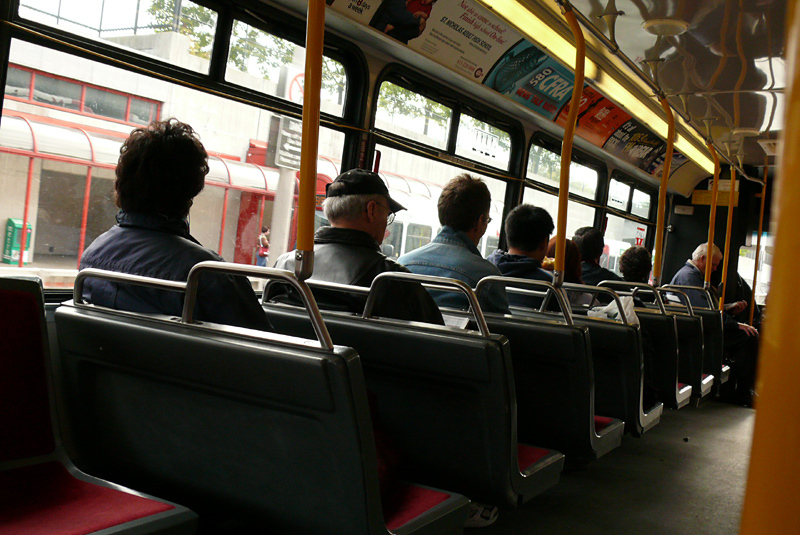 If this sounds familiar, it's because it is the same natural human instinct that can be seen day in and day out on OC Transpo: people will choose any empty seat row before sitting beside someone else. There was one time, however, where one woman sat right beside me on a near-empty bus. For context, I was sitting by the window in the first row of forward-facing seats. Her son had taken a seat in front of me, on one of the inward-facing seats. I was a little surprised when she came to sit beside me, instead of by her son. He was even more surprised — embarrassed even — and asked, "mom, why are you sitting there?" She responded, "I can't sit sideways, I'll get sick!" glancing at me, she asked, "you don't mind, do you?" This broke the ice and segued into a bit of a conversation about ourselves that lasted until my stop a few minutes later. Once most of the benches have someone using a seat, people will start filling them up, sitting beside someone that they may have never seen before. Mama might have told you not to talk or take candy from strangers, but she certainly said nothing about sitting beside them! So what happens when you've paired up, but the bus starts to empty out? Despite my many years of experience riding OC Transpo, I never quite picked up on the etiquette of what to do as bus seats empty out. Do you stay in your seat beside a stranger? Do you get up and move to an empty bench? Turns that confusion is shared by others. I asked a couple of online communities what they would do in this scenario, and the answers varied wildly. Some will get up at the first opportunity, others won't move for fear of insulting their seat buddy. The generally agreed upon reaction, however, is to stay seated if your trip isn't much longer, but switch to an empty seat if you've got a ways to go — or if your seat buddy stinks. What is your seating strategy? Window seat regular seat, window seat rear bench, sideways-facing single seat if available (like on Orion V buses in front of the rear exit), sideways-facing bench. I refuse to sit down if all that's left are two-people seats with someone already sitting down, I'm too shy.